No matter what type of business you are running, the chances are that Gen Y will make up the majority of your workforce. With this in mind, it’s important to know how this tech savvy bunch can take your company to the next level. 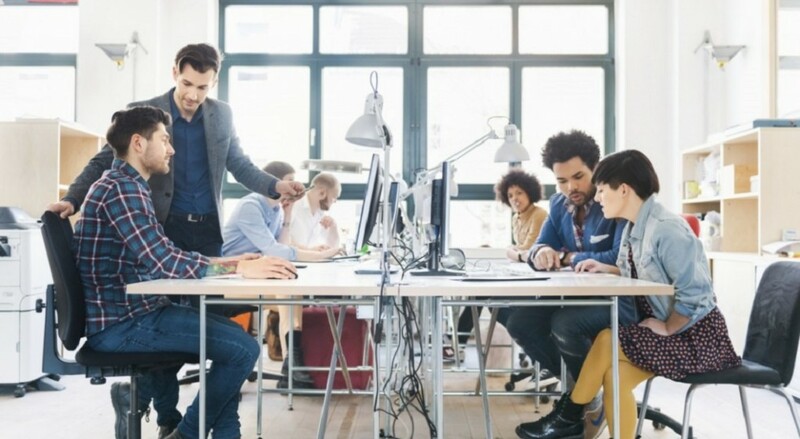 Gen Y often get a bad rap, usually thanks to the older generation, but in reality Gen Y in the workplace can be a fantastic asset to your business. Their work ethic and general way of thinking will catapult your business into a new era. They are the biggest of all generations, as consumers and workers, and who will be better informed on what a Gen Y consumer wants than a Gen Y worker? So, what else is so great about Gen Y in the workplace? Gen Y workers have high expectations for themselves; they’re always aiming to work faster and better than other workers. These expectations also extend to their employers; they look for managers who are interested in their professional development. In short; hire a Gen Y worker and you’ll get better, more driven results, in a shorter time frame. Ongoing learning and professional development is important to Gen Y – they’ll act as sponges, soaking up information and knowledge from other employees in order to constantly improve, taking your business on their journey. Gen Y craves responsibility and involvement within the workplace and they are often berated for their want to be ‘fast-tracked’ into management. However, this can work in your favour as they’ll naturally become personally invested within the business, producing better results. Yes, yes, it’s that buzzword, again! But, with Gen Y putting great emphasis on a good work-life balance you’ll find your office is a happier place and happy workers produce, you guessed it, better results! It will come as no surprise to most managers that Gen Y benefits greatly from regular feedback. You only need to take a look at a Millennial child’s constant stream of blog posts, status updates, and texts to know they are big fans of acknowledgement, as well as interaction – so, how can you incorporate this into the workplace? There’s no need to start commissioning trophies for ‘employee of the week’ but Gen Y workers will feel as though they are working with a purpose if you provide feedback on their progress. Keep your feedback regular and you’ll soon find your team are working more efficiently. The key to motivating Gen Y in the workplace is to see yourself as a coach rather than a manager. Okay, not literally, but Gen Y workers were raised on flexibility and the best way to get them onside is to offer them a flexible route to an end result. Gen Y have been surrounded by technology their whole lives which has offered them an array of infinite possibilities and they’ll expect the same within the workplace, so the question is; how do you give it to them? Before you start panicking about relinquishing all control of your business give your projects just the right amount of structure; let your project workers know what end result you expect, along with checkpoints you need them to make along the way, but allow them to choose their route independently. By allowing Gen Y to make their work their own you’ll keep them loyal to you and the company as they’ll feel personally invested.